I find it funny but others may not. This is Anne from Trinidad &Tobago. I am writing from the hospital in Cote d�Ivoire western coast of Africa, therefore this mail is very urgent. I was told by the doctor that I was poisoned and has got my liver damaged and can only live for some months. I inherited some money ($16.5 Million) from my late father and I cannot think of anybody trying to kill me apart from my step mother in order to inherit the money, she is a citizen of Cote D�ivoire. I want you to forward to my maid (Barbara) with your private telephone and fax numbers including a copy of valid passport or any form of ID to enables her submit them to my lawyer. Address: Rue De La Avenue du Maine L/G 152 Cocody Abidjan, Cote D'Ivoire. My lawyer needs to work on the change of ownership beneficiary of fund to your name before the fund transfer can take effect and you are required to provide them with all necessary informations to enable the lawyer start with the changing of ownership beneficiary of the fund to your name as beneficiary. This are the favours I need from you. This should be a code between you and Barbara Aloko in this transaction "Hospital" as the subject, any mail message without this code "Hospital" is not from Barbara or me as I don't know what will happen to me in the next few hours. Barbara will send you my personal documents when you reach for her. And if I don't hear from you within two days, I will look for another person. May God bless you and use you to accomplish my wish. I am here to help your boss. I got your response to my sick mistress mail message to you and I appreciate your willingness for assistance to accomplish my mistress痴 wish. I also want to thank you for accepting me and I believe you shall make me a family member of yours. I would appreciate you to remove any doubt from your mind in respect to this transaction and believing that you will never regret assisting me and my sick mistress. The said money is an inheritance and it has no criminal background. The bank here knows that it is inherited from her late father and can give reference(s) anywhere if there is need to do so. It is not drug money, money laundering or traffic of weapons; my mistress assured me that her late father was during his days a wealthy cocoa merchant that operated in this sub-region as an exporter of Cocoa and Coffee to Europe. This transaction is 100% legal and legitimate without any risk involved. 1) A valid ID card of any form. 2) Private telephone and fax numbers. 3) Full contact of your house address. My mistress痴 lawyer needs to obtain a certificate of change of ownership to enable you become the right full beneficiary of fund. There are other documents which are required to make this dream come true. The lawyer shall explain all these to you by the time you contact him. My mistress instructed me to forward my photos and ID CARD since I did not have a passport. I hope you see all that is required from you in your next mail message to me. I am sorry about the mistake, i thought that your name begins;� Peter Mc." <&&&&@gmail.com> as i saw on your emails. There is no problem about that at all. Please, let me know when you are forwarding the identification as requested in my first mail to you. Peter Mc is the company I work for. It is an ice cream company. Are you sure it is me you want? You look very beautiful. You should become a model when you leave your company. I was writing in respect of my mistress Anne Bates who was now admitted in the hospital for having a damage liver. She told me that she has sent you a letter asking you to assist to donate her late father's money to you to carry on the work of God by using the money to help the needy as well as taking me to your country after the successful transfer of the money into your account. My mistress is very sick now and wants you to provide your identification to enable her lawyer obtain some back up documents on your behalf. I look forward seeing the above mentioned as requested. Meanwhile, thank you for likening my photo, I hope to see yours. I sent you my documents some days ago but haven't heard from you. I did not receive the documents you sent across to me. Please I will advice you to resend it again. You must be making a mistake. Did you get the documents for Kohei? Not for Peter! No! i did not get any. I am sorry for writing your name as Peter, please forgive me. Please resend it again. How is your mistress? Did she try and have a liver transplant? Could you tell me the right address to send the documents please? my mistress is fine . please scan the documents and forward it my email . Barbara, I'm glad to hear that your mistress has recovered. I guess that you may not need me anymore now. If you still need me to help I have to send you an official replica copy from the local government office who approve of it. It is illegal to scan proof of identity in my country etc. It is the same as forgery. I think you need to send me an address so that I can courier them to you. I sent the replicas to your address on your id. Did the letter arrive safely? Please you shouldn't worry yourself about sending your ID CARD through DHL when you can scanner it and send my email address. i don't have much time to be checking when you ID will arrive and secondly i spent all my time in the hospital because my mistress was now put into a coma for two days ago. You have call back the ID from the DHL office and go to a cyber cafe and scan the front and back copy of it and send it to my email address. Please all i want from you is just your house and office address including your telephone number and a scan copy of your ID CARD, there is no need to send they by DHL . Please bear with me for any inconvenience i might have put you because of ID card. There is the photo of my mistress in the hospital. I was very shocked to see your mistress in such dire straights that I immediatley went to the local konbini and had my driver's license scanned by the technician there. Mini Stop. Here it is attached. I'm not so good with computers as my eyes were damaged as a child due to a shampoo accident. I also lost a lot of hair. Please don't laugh at my photo. It is in Japanese so please let me know if you need a translation for any parts. Thank you very much for showing me that you are a trustworthy person by sending your ID across to me. Please i will like you to put them in writing for me. I will forward them to the lawyer as soon as you put the above mentioned on writing in your next mail. Did you want me to scan the documents which proof the existence to the money in the bank? Meanwhile, i think you are a handsome man, please never feel so low. Are you married? I am about to visit the hospital. Thanks for your kind words. Please call me Kepahl as my friends do. Kohei is the Japanese name I took when I became a native Japanese by default of losing my passport and overstaying my visa for 22 years. The details which you need now are here. I'm sorry I didn't give them to you on the last email. I was in shock at the photo of your mistress in a coma and have been saying many Japanese humming prayers from Zen Buddha temple. Saying Ummm na na na na na na na naaaaa ninaninaaaaaaaa naa na ni naaa naaa for many hours. It is an old chant to fix liver problems. Born in 1973 in the Telugu-speaking state of Andhra Pradesh, India. My schooling up to the 12th grade was in Telugu medium with English as a subject of study. My undergraduate education was in sciences, Sanskrit and English languages. Later I studied Sanskrit for two years at master's level at Andhra University followed by another two-years' study of general linguistics for another master's level course at Deccan College, Pune, India. I obtained the degree of Doctor of Philosophy in linguistics from the same institute. From 1980 till 1995 I was a member of the faculty of linguistics at Deccan College. In 1995 I left that Institute while I was a professor and Joint Director to join the Research Institute for Languages and Cultures of Asia and Africa, Tokyo University of Foreign Studies. My main fields of interest are phonetics including speech synthesis and computational linguistics including script processing. I have the experience of working on different languages of South Asia. I speak and write in Indian English. Country Japan. Formally of Pakistan, Inida and some African countries. Telephone (813) 5454-1401 (My staff will answer the phone. Insist that they put your call through to me even if they say I am busy. I have instructed them that a call from Africa may be made soon). Has your Mistress come out of the coma yet? I am not married so nowhere in my emails to you could I say (with a Japanese wife). I do have a book or two that keep me busy. What are your hobbies? I'm moving into a new home soon nearer to the ice cream factory I am doing research at. There will be a spare room for you and your luggage. It is being prepared now. Please be careful about the address. The address on my driver's license is for my current address. The address I gave you in the last email address is the new home for us to live together. I want to tell you about my work. I have been working on a top secret project with three companies for Japan, America & India. We are developing a new ice cream flavour that will be launched very soon. I have been given a large sum of money from the Japanese government to do the research. When I was young I was developing an industrial strength curry shampoo for horses when there was an explosion. I almost lost my eyesight and now have to wear special glasses to protect them as they are so weak. The shampoo did everlasting damage to my scalp and my hair never grew back. The recipe though was mistakingly used by my grandmother Binta Gaveskar and she left it out on the mountainside near the Himalayas and it turned to ice. The sherpas came across the frozen curry and ate it all. They then could climb Mt Everest with great ease. When the U.S and Japanese government heard of the recipe they granted me a grant to further my research in Japan. Now after many years we have perfected the curry ice cream and it will be used this year for the Japanese & United States Olympians at the Beijing Olympic games this summer. I have got some tickets for you & I to go to the opening ceremony. I am so excited. I fear the worst. Is Anne recovering or getting worse? If she gets worse I'd like to come to see her in the hospital. Do you think I should come to you as soon as possible? Then I can sign the documents in person. And see that you and Anne are being looked after properly. You didn't reply to my email promptly so I am a little worried. Please let me know how everything is. Thanks for your mail and effort towards helping me and my sick mistress. God bless you. Please, I would want you to know that I have gone to the bank with my mistress's lawyer yesterday afternoon and the bank requested documents some clearance needed for the transfer. The bank said that the money is big and there is no way they can contact you to provide your account for any transfer. I left the bank and headed to the ministry of justice, probate registry and also the high court with the help of my mistress lawyer with one other lawyer attached to bank legal department in other to obtain the required documents needed for the transfer. We wanted them to issue us the documents at once so that the bank will make fast arrangements on how to contact you by next week Monday or Tuesday to provide the account where you wish the money to be transferred. The ministry of justice requested that we should pay some mandatory governmental fees to the ministry of justice, so that the documents will be issued to us because they said that the documents are classified documents for record purposes and for fund clearances. The total amount required from us to enable the ministry and high court to issue the documents in our favour is $700. As you can understand my condition here, all the money with me have gone to the hospital and you know the state of my mistress being put to coma who have not yet recover. I do not have this amount with me here and it is becoming source of worry for me now. I have no body here, I am an orphan, Anne my mistress is everything thing a have in this world. Please I would require your Godly assistant to pay and secure the necessary legal documents needed by the bank to transfer the fund. I am pleading with you in sincerity, openness of heart and fear of God, to help me out of this present situation. The fund is deposited in a suspense account, and that is why it cannot be withdrawn. My mistress would have taken some money to facilitate the processing of the documents. This is why I am pleading with you for assistance, and be rest assured that as soon as the fund gets to your account, you will take anything you spent before taking your compensation as directed by my mistress. Please I am pleading with you to assist me to enable me pay for the documents. My mistress condition is still the same. I hope she will get better soon. I will be waiting for your email message to enable us know what to do next. Let the Almighty God bless and keep us to see ourselves soonest. Thanks for all your efforts and God bless you. My warmest regards and waiting for your urgent response. It is wonderful of you to reply to my last message. Your country must be very busy to have banks and lawyers working on Sundays. Your Mistress must be quite famous for them to help you on the weekends. You need $700 for administration fees? I have about that much from my last trip to Singapore in cash. I'll just go to the post office now and post it off to you in a certified letter that you will have to sign for with the post man. I'll send it by express delivery and hopefully it can be there within 48 hours. I just checked my money collection. I have $935 Singapore dollars and some old Hong Kong dollars. I'll send them both. If I get to the post office in the next 30 minutes I think they can promise it to be there by Wednesday. Speed is important so I better run now. I've decided to send some more money to help you seeing though you have nothing. I can get the hospital bills paid for if you can give me the name of the hospital. Let me know the bank account details for the hospital and I will transfer them enough money to continue the care for Anne. Please, send the money through (western union) or (money gram), it is better than the poste which will take some days to arrive. Send the money with my name and address. It is fast and easy to pick up the money the same day here. I will be waiting to see your mail after sending the money with the payments informations for pick up. Please do not disclose this transition to anybody in the western union or money gram for security reasons. You have to keep this transaction between you until the money is transferred. Or Rather scan and send the payments information to me to enable me pick up the money today . I already sent the cash by registered post to you this morning. We don't have Wetsern Union or money gram in Japan I'm sorry. Is there a bank account to which I can send you some more money or the hospital some money? What is the name of the hospital. If I calll them they may be able to accept money form Japanese banks for you. This is getting quite difficult and time consuming. Did Anne tell you of anybody else that may be able to help you? I will try and find somebody else who can use money grab or Western Union. Did she leave you with any contact names? I shouldn't be telling you this as I promised the government not to divulge the ingredients or recipe for the curry ice cream. This is untested in cases of coma but I think it is possible that it may cure Anne. Please make this and see if you can connect it to her feed tube on your next visit to the hospital. The next day blend all the frozen ingredients and 1/4 teaspoon cayenne pepper in processor until paste forms. Heat oil in heavy large pot over medium-high heat. Add paste from processor and cook until golden, stirring occasionally, about 3 minutes. Add chicken and potatoes; saut� 5 minutes. Add broth; bring to boil. Reduce heat to medium-low; cover and simmer until potatoes are tender, stirring occasionally, about 15 minutes. Uncover and simmer until chicken is cooked through, about 5 minutes longer. Season with more cayenne, if desired, and salt and pepper. A spice mixture available at Indian markets, some specialty foods stores, and many supermarkets. To substitute, mix 3/4 teaspoon ground cumin, 3/4 teaspoon ground coriander, 1/2 teaspoon ground pepper, 1/2 teaspoon ground cardamom, 1/4 teaspoon ground cloves, and 1/4 teaspoon ground cinnamon; use 1 teaspoon of mixture. Freeze it again over night in a container. Please do not tell anybody this recipe or the Olympic medal count at the Olympics will be incorrect. I have some bets on at Ladbrokes. Be very careful though. DO NOT USE AS SHAMPOO OR GET IN EYES. SEEK URGENT EMERGENCY CARE IF YOU GET IT ON YOUR SCALP OR IN YOUR EYES. Please, what is the name of the poste, how can the reach me? What was the tracking numbers? It may take more days and I we have inform the bank that the documents will be ready today or tomorrow. You have to understand that Africa in not like yours in the western world. Please i will prefer if you can call back the money and look for somebody to resend the money through western union. The western union branch here told me that there are many western union in Japan. Bank account will take more days and arrive here and bank might say the money is too small for transfer aboard. Please look for any other way or you can look for somebody outside Japan to send the money with my name as i have given you earlier on. I will mix ingredients as you have instructed me and i shall ask the doctor to give me his contact let us see if there is a way he can give you account. Meanwhile I will give you the name of the hospital if I get there , I will go to ay nearby internet office to send you the information you need about the hospital. What is the name of the poste, how can the reach me? they will hand it over to a post man in your town. The address is on your I.D card. What was the tracking numbers? It is registered post. Called 書留郵便 (you can just say kakitome for short). The tracking nuumber is SPR-08-05-00385 and according to the tracking website is already in flight to Africa via Singapore & Nairobi. Do you think it may get lost in Kenya with all the strife there? I hope not. I tried to do a search for Western Union in Japan and could only find a bank called Nishi Ginko. Nishi means West and ginko means bank. I will call them tomorrow in business hours to see if they can help. The registered mail now cannot be returend until it is delivered and signed by you in person. I enclosed your photo so the post man will not be duped by scammers. I heard there can be some problems with money transfers if you're not careful. Please be extra careful. I will see if I can find the name of the hosptial to. Should I ask the advice from the Embassy for your country here in Japan? They may be able to advise me how to send the money faster? Take extra care. I sense danger. I have gone through the Nippon Post website but i think that is not the best way because the money might get lost in Kenya. Please stop the post and use this western union outlet in your country which the western union here has given me. There is no need to contact MY embassy there because contact them might involved a third party to this transaction. You have to understand that there is not need to expose this transaction. I think you know how much involved. Please you have to handle this very maturely. Here are the western union contact address located in TOKYO, since you are there i think you have to go and send the money there and give me the information to enable me pick it up immediately. I am sensing some danger since my mistress was put into coma. You can as well send additional money encase if the hospital might that for something. THE TOKYO BRANCH WESTERN UNION. I'll go and see them in my lunch break tomorrow. Please call me Kepahl. Kohei is too Japanese and formal. Forgive me if I pass on that curry ice-cream though. I just want you to know that i left the bank some few minutes ago with the lawyer to inform them that we are going to get all the necessary documents ready before Wednesday this week. And the bank managements have promise to take our applications with urgent attention as soon as we get the documents ready. My mistress condition still remains the same and its making me feel so worried. I cannot concentrate anymore in my activities and this is making me to think too much. I want you to be fast so as after you receive the money into your account, you can make arrange on how to fly her to Japan or any country where there is specialist who can do transplant of any liver to enable her well again. I am afraid we might loss her but I am not praying so. Please let me know when you are sending the money for the documents so that i will inform the lawyer the day and time because he has not been able to stay in his office because of my mistress seek. 21 BP 622 Abidjan 21, Cote d'Ivoire. I waits for your reply to my mail message. New York doing liver transplants. over the data concerning Anne's health conditon. commercial office and deal mostly with larger transactions. enough money for the bank to accept the business. Will email you again later as I have to go to a meeting with Dr.
Watanabe to discuss his itinerary. Could you recommend a nice hotel for him to stay at? I have beginning to get worried as i did not hear from you throughout yesterday. I am sorry that we have lost Anne. She died this morning. Please, i will get back to you later as i cannot to write now. My hands are shaking. i have been crying and i don't know what to do. This is Dr. Brown Clark from the Yopougon's Teaching Hospital, Abidjan Cote d'Ivoire. I write in respect of Miss Barbara Aloko the maid to a late Anne Bates who gave up the ghost to our hospital this morning. Meanwhile, I instructed the little girl to locate us with the step mother whom she believed that gave her the food poison for the liver damage while she refused to answer. I then asked the young girl if she will provide us with any other of her relatives and she only gave us your name and email address as the only person that she has as a relative. Moreover as a foreigner to this country, we have putting the deceased (her body) to our mortuary and the more she lies here, the more mortuary bill increases. Secondly, our hospital will sign her death certificate earlier today and you are to contact this young girl (her maid) to negotiate for a coffin and a piece of land in the cemetery where her body will be buried. So please do not delay in getting to the little girl (Miss. Barbara) because the cry of this little girl touches me a lot, as she said that you are the only one to care for this. Now she has been crying deeply as we advised her to go home while she refused and keep on telling us that she is afraid of the deceased step mother as she may poison and kill her too. So in this case, I am a family man and shall try to take her along with me while going home to stay with my wife and 3 children on till when you shall take her along with you. Finally, you are to reach with the young girl as soon as you get across to my message in knowing how to arrange for the deceased (Anne's) burial. Please do not delay as she cries that you are the only person to care for this. Thanks for your understanding as you shall reach me telephonically on my direct line 0022508824464 for oral explanations and easy communications. I am in shock at that news. I went to discuss the bank transfer today but still they could not do it. I will try again tomorrow through anohter bank. Did the cash arrive by DHL? I checked the tracking number and it said the letter arrived in your town today so maybe you already got it or it will come tomorrow. There is about $1200 in Singapore & Hong Kong dollars. I know it is not enough so I may send you some more like that s well as the Western Union service in Japan is not good. Say some prayers for Anne. When is the funeral? I would like to attend it. Be strong help is coming. Thank you for looking after poor Barbara. Be kind to her. If possible lend her the money she needs as I will certainly pay you back as soon as I can. Barbara should be receiving my 1st payment to her today as it has arrived in her home town. I will try and call you during your business hours to thank you in person for your kindness. I'm interested to know if Anne had an adverse reaction to the curry ice cream? Did she show signs of improvement? Did you have a chance to make the ice cream? I guess that it takes too much time to make having to freeze it twice before eating. Freezing it twice is a very important step in causing the wasabi molecules to bond with the ice cream. If you didn't have a chance to give any to Anne, please try it yourself. You need the extra strength. I received an email from Dr. Clark. I believe him to be a good man and trust him. Let's promise him some of the money so that he can help you immediatley. I'm sure that once he knows how much money is at stake and that the hospital bills, funeral bills etc can easily be paid by Anne's inheritance the stress you are feeling can quickly disappear. Should I tell him by email or can you see him again. I'm quite happy to let him have as much as 20% of the money. Thank you for your mail message to me. i have been at the hospital since morning, i cannot even go home because i am afraid of Ann's step mother, Dr Clark has promise to take me to his home to stay there with his wife for security purposes. The money in the bank cannot be withdrawn; otherwise we should have taken some money to complete this project. Please stop telling people about this transaction until we finalise it to the end. Anne's body is now in mortuary and there other things which we need before she can be buried. Please, to worrying yourself, i know for sure that God is going to do something very soon. i have to receive any DHL because i can no longer home because of the wicked step mother. Please do not try to tell the doctor about the money because we cannot expose this to everybody you see, please you don't know who is who, that is why we have to be very careful all the time. Finally, i have gone to MONEY GRAM office here and they give me there branch OUTLET there in TOKYO. So now you have to enter the website to find an agent nearest to you town. = then you click= FIND US= inside it you select your country and city to find there address. I have also forward the address here for your verifications. ( Banco Itau Sa ) Services Available:= Send Money= Receive Money. Please call them to confirm that they are MONEY GRAM Agent before going there to send the money. I assure you I have told nobody about the money as you wished. Dr. Watanabe did not know at all. I will get you a plane ticket to leave there as soon as possible. You will be able to pick the ticket up at the airport. Do not worry about hospital bills or funeral expenses. You are not responsible for those charges. The wicked stepmother will be asked to pay those expenses as she is the next of kin so please do not worry anymore about money. Try to calm yourself and relax. Help is coming. I will walk to the money gram ganet today at lunch time it is not so far from my research laboratory. Wow, what an interesting bait. I like the bedside manner of the "doctor"
we have putting the deceased (her body) to our mortuary and the more she lies here, the more mortuary bill increases. Secondly, our hospital will sign her death certificate earlier today and you are to contact this young girl (her maid) to negotiate for a coffin and a piece of land in the cemetery where her body will be buried. Wow, dummerage on a dead body. That is so cold! I was able to send you enough money to cover all your expenses and to get away and find a place to stay by yourself. The information you gave me was correct and I could send you about $10,000 in Japanese dollars to you. Please go and get it first thing in the morning and report back to me that it went through ok. Please tell me when the funeral for Anne will be and I will come over too. I have some time off next week and want to come over and assist you in these troubling times. The receipt is all in Japanese for the money transfer so I don7t think it can be of much help to you. Is Dr Clark treating you kindly? Please sent me another photo of your beautiful face. All is getting well now. Thank and God bless you. my photo will be in my next mail message by that time i will be able to look for where i can scan it. i will be expecting them immdiately. I told you that the receipts in Japan are in Japanese so you will have to print this off to take to the bank if you can't read it. They will see that the answers are the same. The staff at your bank probably can�t read Japanese either so it will help them if you print it off. If the bank has any doubts i can fax them a copy and authorize it for you from here. Did you get the plane tickets? Can't wait for this to be all over. what is your full name? how can i pick up this money without you putting these letter in english. the money gram number is 8 digit but you give me 7. what is going on. i hope to hear from you. it is not bank, it is MONEY GRAM. PLEASE you have to put everything in writing to english as i cannot understand Japanese. since it was written in Japanese, please rewrite it in english so that i will go there now. please writte in english . without this, i cannot be able to pick up the money. I am also worried. I am not sure that you are Barbara anymore. Did you forget my name? I sent you my driver's license before and told you about my name many times. How do I know you are still Barbara? I worry that somebody is tricking me now. Are you really Barbara? You sound like a different person to before. I will translate for you but I don't understand about money gram. What is a money gram? I sent you the information that is on my receipt. In Japan the banks use Japanese not English. This is the translation. Japanese is not so difficult. I want to teach you about it. DIGIT NUMBERS ......................................四=4六=6八=8八=8九=9九=9九=9 I don't know why there are 7 numbers and not 8 but 7 is a lucky number in Japan and 8 is a lucky number in China. I am in Japan so maybe they like 7. QUESTION AND ANSWER ..あ=a な=na た=ta は=ha or wa バ=ba バ=baラ= raで= deす= suか= ka。　は=ha い=i、そ=so う=u で=de す=su 。=period If you translate that to English it says. 'Are you Barbara?' Answer = 'Yes, I am'. Very simple for you. RECIVER NAME .....バ=ba バ=ba ラ=ra = Barbara = your name. Are you the receiver? Please tell me about the funeral arrangements. Is Dr. Clark treating you well? Are you eating properly and getting enough sleep? I just entered the DHL tracking number and called the office in Japan. The first money I sent you is in the DHL office near your address. send it back to me. It is a lot of money and it will help you a lot. Please give me Dr. Clark's address and I'll have it sent there. There is very much money in the money gram too so please ask Dr. Clark to perform a toxicology report and do an autopsy on Anne. Let's see if there are any traces of poison so you can approach the police with evidence about the wicked step mother. Have you been to the police yet? If not I can contact them through the Japanese Embassy in your home town. Our University has a good relationship with the Japanese government. Let me know about the funeal too. I just called the DHL office in Abidjan and they are holding the envelope package till the 13th as they could not locate you from the address you gave me. I told them you are staying with Dr. Clark now but they don't know his address. Can you go and pick it up today? I have sent you very much money. If you are joking with me I will be very angry and disappointed. Please answer my questions and give me some proof that you are not tricking me. I won't send you anymore money until you stop playing games with me. What is happening? Where is all the money I sent you going? Why do you have to pay for the hospital bills and not the step mother? Did you see the lawyers yesterday? You said you were going to see the lawyers on Wednesday about the tranfer of the money to a safe place? You still haven't asked for my bank details. How can you send me the money without the bank details? Someting is not right here. What are you doing? DO you plan on keeping all the money for yourself? You are getting angry in your emails to me and all I have done is try to help you. Please stop being so selfish and do what Anne wanted you to do. Anne picked me to help you don't make her ghost angry. To alleviate your stress I just sent a bank transfer and donation to the hospital seeing as you have no bank account. I snet them enough money to further their liver treatments and asked them to set up an Anne Bates Liver donation Foundation. I suggested they make up some liver colored wrist bands and sell them for donations to the Anne Bates Liver Foundation. I sne them $50,000 to start and asked them to clear the medical bills under her name and to also look after the funeral arrangements. I will send Dr. Clark a copy of the emails and faxes I sent to the hospital. The hospital must be very big with many patients as they din't have a record on hand for Anne but I may have misspelled the name. Is it Ann or Anne? The hospital is very happy to have receieved such a large donation. Please get the money gram and DHL money I sent you but don't tell the hospitasl about it. I will tlak more with the Director of the hospital tonight as they are not open for business right now. I feel so happy that I could set this fund up. Which charities did Anne have in mind for the money to be donated to? I'd like to get a refund from her for the $50,000 as well. I just called the Lance Armstrong LIVESTRONG Foundation. They are willing to support the Anne Bates Liver foundation and they said they can use their old stock of wrist bands. 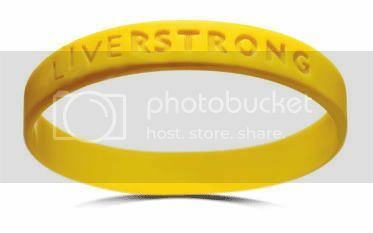 LIVESTRONG by stretching them at 49 degrees elsius and adding an 'R' between LIVE & STRONG which will show LIVERSTRONG. They are making a protoype now and will mail me a copy tonight. I will forward it to you. ps Did you go to the DHL office yet? Yes i am Barbara, i never change. i know that you name is Kepahl but i don't know your last name. The driving licence, you sent to me was written in Japanese. Do not worry as i as i got the money i shall get myself a cell phone ad give you the number so that you will be reaching my phone. Forgive me if i make you fear . I cannot understand what is really on between me and you. (1) You said you have send $50.000 to the hospital in Abidjan (in who痴 name and account and how did you send it) because DHL does not accept money. (3) I have also gone to MONEY GRAM office here with your name (KOHEI KEPAHL KOTHANDORAMA) my name (BARBARA ALOKO) as the receiver and after tracking they told me that no money was sent by my name. They also inform me that money DIGIT NUMBER worldwide is 8 and cannot be 7 . Please I want you to scan the receipt of the money gram and the DHL to me for verifications AND confirmations. After going through them I will scanner them and submit to DHL AND MONEY GRAM here. Even if it was written in Japanese at least I can see it with my eyes. Dr. Clark is treating me fine. I am so confused and disappointed. I am at home now and the weekend has started. It is a 3 day weekend and my office will be closed till Tuesday. I can scan the receipt at work on Tuesday and send it you Tuesday morning Japan time. The $50,000 was a bank transfer to the hospital's bank. The details for that are also in my work computer and desk. The transfer was made out to the hospital not to any person. The CEO at the hospital has the details and he may conform it to you if you print off our email correspondence and show him. The DHL money is in a magazine. I know that DHL don7t accept money deliveries so I put the money inside the pages of a Japanese language magazine for you to study. You need to start learning Japanese as soon as possible. The package is in a brown envelope with your name on the front and my University name on the back. I will also have to go to the Money Gram agent on Tuesday and confirm that they they did the transaction on the right paper work. The receipt they gave me is in my desk at the office. I am also very confused and disappointed. Go to the hospital as they have the largest amount of money. They have been informed to pay the bills for Anne and to arrange for a funeral. Is Anne a Muslim, Christian or some other denomination. We need to find a nice church or temple for her funeral. Could you also confirm the young couple in Anne Bates' hospital photo? Is the lady Miss Bates and the man Master Bates? I have just received an image sample of the LIVERSTRONG wrist bands for the Anne Bates Poisoned Liver Foundation. They will be sold world wide at $1 ea. 50% to go to charity. I hope Anne is looking down on this from heaven. What kind of questing are you asking me, does my mistress look like a man? Moreover, the church where Anne uses to worship has decided to take care of every bill from the hospital and she will be buried by Wednesday next week. There is no need of transferring your money to unknown CEO . THE DHL office here told me that there was nothing like envelope with my name on the front, so i think you call for the return of the envelope because if i continue disturbing them , they might put me behind bar for attempting false claiming. I will be waiting for the receipt of the money gram on Tuesday but tells the money gram agent to put everything in English. Then give me the (sender name)(receiver name) (question and answer) ( 8 digit number) . Please you have put them in writing to me and scan the receipt of the money gram and send it across to me. Have a nice weekend. God bless you. That is very wonderful of you. God bless you. The LIVERSTRONG wrist band is very beautiful. I will even love to have one when I join you over there in Japan. Anne is heaven will know that some people are remembering her on earth. Thanks and God you mightily. Until Tuesday when I go back to my office we can talk and find out a bit more about each other. Do you still attend school? Do you play any sports? Who were the 2 people in the photo looking over Anne in the hospital. You didn76t tell me in your last email. Can you tell me Dr. Clark's telelphone number then I can call you and talk to you. I have nothing to do over the long weekend but think and worry about you. I will wait till Tuesday as you have promised. The two people looking over Anne in the hospital are specialists from France who came for the liver transplant; unfortunately we lost Anne as she did not wake up again. It is very painful that Anne gave up, had it been that the liver operation was taken on her maybe she will have been alive by now. Moreover, I do not have any brother or sister that is why Anne instructed that you should arrange my travelling documents as soon as you have this money in you account with some percent which you told you to keep for me. I am an orphan and Anne is the only mother I have in this world. Anne put me into a school but I stop when she was poisoned, she became very sick and weak, and so I look after in the hospital. As for Dr Clark telephone he told me that he has given you his number, but I will take permition from him before you can call me on his telephone. Since you have from now till Tuesday I will look for a way to speak with you on telephone. After you've finished with this one, my Uncle poisoned my father, (a rich coffee merchant) and left me a tin box with $150, 000,000 (One hundred and fifty millions dollars) in it. How about volunteering to help me get it to Japan? Shall I send it to Dr Clark's address this time? I'll look at the receipts on Tuesday and see if it says NIPPON EXPRESS or DHL. Either way the Singapore and Hong Kong dollars are back with me now. Did Dr. Clark hear of the donation to the hospital and tell you about it? When is the funeral? I'd like to send some flowers. I'm not sure what you need now as we have sent a lot of emails back and forth. in person? I have 3 weeks holiday in th eend of March. Let me know what you are doing every day now that you have nothing to do? Then from the money gram website, select country and city to know where the money gram office nearest to you is located. Go there and send the money, after sending the money, you will give me the name which you use to send the money including the receiver name and the control digit numbers. As soon as you do that scan the payments receipt which the money gram will give you across to me for verification and confirmation. Please you don't have to ask me if i have collected the money gram because i have told you that the information you sent for the pick up of the money was totally wrong. The money gram office here told me that you did not send any money. So stop asking me if i have collected the money. Are you trying to play some kind of joke with me? are you not the one who told me that you will be going to money office on Tuesday to know what happen and why them did not send the money. If you choose to come here, you are very free as you have some days off. it will be better if you come here and finalise this transaction by yourself. Please go the money gram as you have promise and send me the money to enable the lawyer gets the needed documents for the transfer. Don稚 forget that Anne will be buried on Wednesday. I'm reading the moneygram site now but the vital information is not avaialble. Then try to click on the 5 step link at the bottom. It doesn't work. Do you know the 5 simple steps? have a paypal account I can send you money much easier with paypal. Please send me the address for the funeral as I want to send flowers. Go to the money gram office and send the money. You don't have to send it online through the site. i just sent the website to enable search for any money gram Agent office near you. Country: japan, City/Town: Tokyo, with locations where you can: Send Money. Use the address fine the money gram office. Forward all the information you use in sending the money to me. Please put all in writing as well as scanning the payments receipt to me. As soon as I receive the money I will buy flowers for ANNE, if you send it there is no time unless you are coming down here which I don稚 think will be possible for you. I just arrived at my office and there is a fax to me from the hospital. is there hospital or not. Please confirm to me the name of the hospital. email you again when I get back. Look at this. I just received this email. Do you think this money may be Annes? depositor and family were killed in Iraq. I immediately will provide you with more info. I went to the money gram office again today like I promised. used last week was a new service like money gram. money if you don't have an account with the new service. This is the reason why the transaction was reveresed and not sent the 1st time. is not a Japanese system. The Japanese banking system is very different to other countries. trust the old banking systems. you or you give me an address of where you are staying. have my SPring holidays early. I have applied for my holidays and will come there starting from Friday night. We are looking for a suitable hotel and will conform that later. lawyers and do all the paperwork together. Please arrange for an afternoon meeting with them. Please answer as soon as possible so I can call the travel agent back. JTB. Looking forward to seeing you and sorting tis mess out. I am happy that you will be here very soon. i don't know any hotel here but there are many of them. Please you need to call Dr Clark and ask him to give me his telephone so that i can speak with you. I will be waiting on Friday at the airport. the front do not appear to be your country's international prefix. according to the former numbering range, type of service and carrier. I read through the number chart but could not find a 00 start. Can you confirm if the number is correct? What is the prefix for Cote D'ivoire? number only has 8 digits. 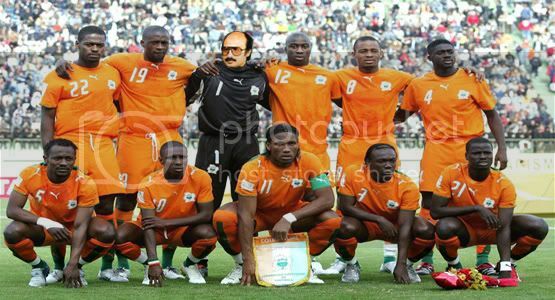 Are you sure he has a Cote D'ivoire telephone number? call (00225) then 08824464, if it don't go through then put (+225) 08824464. I will call tonight Japan time but fear you may be at the funeral when I call. What time is the funeral? I don't want to disturb Dr. Clark. When he is at the hopsital will you be able to answer the phone? What are his hours for this week and when is the best ttime to call? There will be thunderstorms too so be careful not to be struck by lightning. Please tell me about the funeral. would have been transported from the morgue there. Did you see the flowers I sent? Is there anything you would like from Japan? I'll be going shopping today and packing my bags now. Please tell me how the funeral went. Dr. Clark must not have paid his phone bill. This number does not work. Could you tell him to check it please. fly out again early tomorrow. You haven't replied to my last few emails. I'm guessing you have no way of using the internet now, having no income. not good and he couldn't hear me. at 1:40 am and 2:48 in the morning your time. All I could hear was Dr. CLark saying in a very deep sleeoy annoyed voice. I was talking to him but he couldn't hear me. Then he hung up on me. and then head off to the airport. Would you like anything from Paris? Please confirm you will be at the airport on Sunday. I'm worried about you. Has Dr. Clark forbid you from using the internet? Please reply before I board the plane. I forgot to mention my hotel. I'll be staying at the Sofitel Abidjan. Would you like to stay too? I booked a double room. Just about to board the flight now. I'm very worried though as you're not getting my emails. missing persons report with the police. Very worried about your safety. Link sent by Barbara with no text to this thread..... Hi Barbara...still reading this? What is this link you send me? I have gone to the hotel in search of you but you were not there. Anyway thanks for your hard work. my mistress is fine . oh good.. she wont need any money from you then! However, you should disguise your names etc more. I don't think its a good thing when the scammers are finding posts on this forum about themselves. to practice as they were a member short. couldn't believe how fast and good I was. and lunch. After that I was ready to take on anybody.